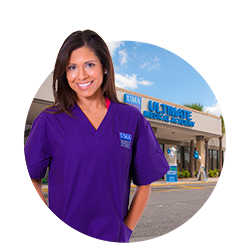 Ultimate Medical Academy has a relationship with thousands of employers across the U.S. to help our graduating students find job opportunities. More than 240 UMA Career Services specialists help graduates find job opportunities and schedule interviews with potential employers. UMA has consistently introduced solid candidates to our organization and truly cares for their students and graduates. They provide qualified applicants. 1. Applicable to select online programs. 2. Averaged results from the Ultimate Medical Academy Ground “Employer Survey” 2016 (133 responses) and Ultimate Medical Academy Online “Employer Survey” 2016 (1,129 responses).